news: "Charity Bar In Houston Will Give All Earnings To Nonprofits"
Want to make a donation to charity without spending a dime? How would you like to raise money for an important cause while spending time outdoors/getting into shape/going about your everyday activities? Then download Charity Miles and get moving! 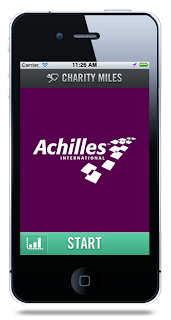 Charity Miles is an iPhone/Android app that empowers you to earn corporate sponsorships for charity by walking, running, or biking. Right now, all sponsorships come from Charity Miles, LLC (up to $1 million), but once the app catches on and gets more users and corporate sponsors, your walk/run/bike activity might be sponsored by a company like Gatorade or Reebok. Look at you, you professional sponsored athlete! As you walk, run, or bike, the app tracks your distance and you earn money for your charity. Bikers earn 10¢ per mile, walkers and runners earn 25¢ per mile, all up to the initial $1 million sponsorship pool. Here's how it works: Download the app and log in with your Facebook account (yes, you have to do this to use the app). Swipe to choose your charity - you can choose to support the same one every time, or choose a different one each time! Press Start and get moving. The app uses GPS to track your activity in distance, time, or impact for your chosen charity. Currently, the featured charities you can choose to support are: Achilles International, Autism Speaks, Feeding America, Global Fund to Fight AIDS, Tuberculosis, & Malaria, Habitat for Humanity, The Michael J. Fox Foundation, The Nature Conservancy, Pencils of Promise, and World Food Programme. When you've finished your activity, click Stop. (You can also pause your activity if you take a break and then Resume once you get moving again.) If you're finished, click Finish and accept the sponsorship. As I mentioned, for now, all sponsorships are from Charity Miles. The app will then you give the opportunity to post about your walk on Facebook and Twitter. We've been using Charity Miles for a couple of weeks now and we always post about our walks. (In fact, we received a surprise thank you from Charity Miles after posting on Twitter by receiving a free t-shirt!) All of your activity is saved in the app. They also send you an email with a summary and map of your activity, and the donation you generated. The wonderful feeling you get from getting exercise AND doing good makes it doubly worth it. Join the movement, invite your friends, spread the word, and GET MOVING! Because changing the world is a team sport! TGIF! It's almost happy hour and...the weekend! Why not enjoy a glass of wine or 8 (responsibly, of course) and do some good for the world at the same time? ONEHOPE Wine donates 50% of its profits to partner charities benefiting a variety of causes. 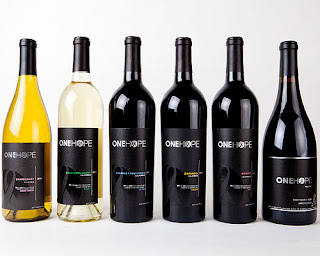 Founded in 2007 by eight friends on a mission to help a friend battling cancer, ONEHOPE Wine has raised over $750,000 for a range of charitable organizations. They combine the belief that hope is all about making the world better, giving people an easy way to make a difference, and that wine is a living, breathing commodity that has always helped bring people together in common purpose. Plus, wine is awesome. We're in love. They have every varietal of California wine you could want, including Cabernet Sauvignon, Chardonnay, Merlot, Petite Sirah, Pinot Noir, Sauvignon Blanc, Zinfandel, and even Sparkling. Buy by the bottle, case, or purchase a gift set. These wines make fantastic gifts for just about any occasion. Just think: you'll be giving back and also spreading the word about a wonderful company dedicated to doing great things. Planning a wedding? Give back to others on your big day and make your wedding a ONEHOPE wedding! 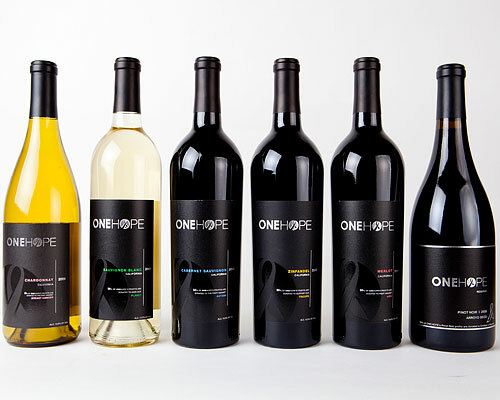 You can find ONEHOPE Wine for sale in restaurants and stores right now in 18 states and online. 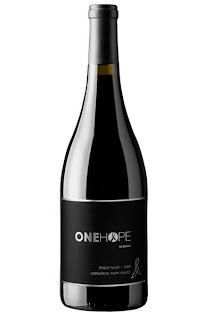 We at goodiegoodie are great friends with wine, and we have tried several varietals of ONEHOPE. We are pleased to report that we have enjoyed every bottle we've tried so far and promise to continue testing them all for you. You're welcome. One last thing: if you're a real wine connoisseur, sign up for the ONEHOPE Wine Club or Craft1933 from ONEHOPE Wine. Craft1933 is a members-only experience connecting discerning wine consumers with access to a curated selection of hand-crafted, premium wines. Members receive up to 60% off wines that also support great causes with every purchase. Cheers!